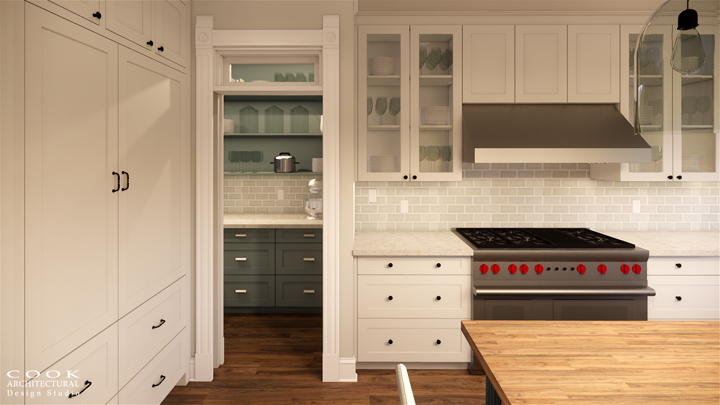 A new kitchen for this existing city home has been on the client’s mind for years. We are excited to help them finally get their dream in the works. 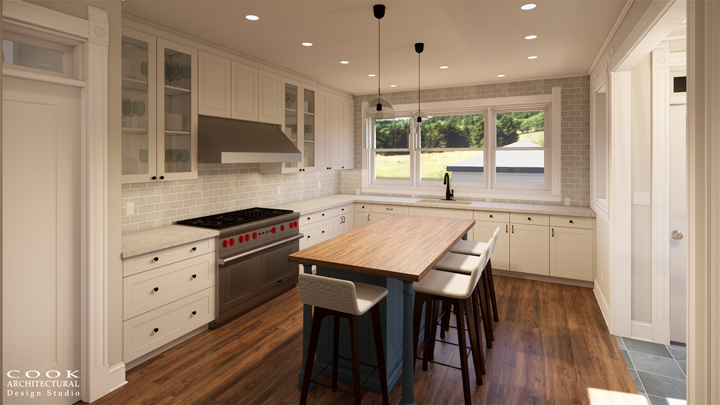 A navy blue island and teal pantry provide the perfect pop of color in contrast to the timeless cream colored perimeter cabinets and butcher block island.